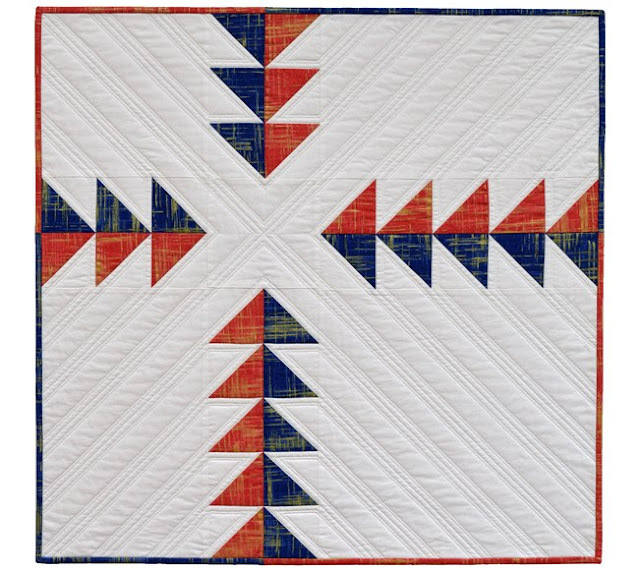 Welcome to the 4th and final week of the 2017 New Quilt Bloggers Blog Hop. 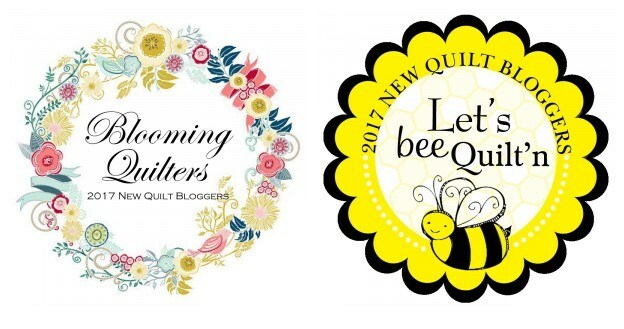 I am participating again this year since I had so much fun last year meeting new bloggers and learning so much from my fellow newbie bloggers and experienced ones like Yvonne at Quilting Jetgirl, Beth at Cooking Up Quilts and Leanne at She Can Quilt who are our hive leaders this year. 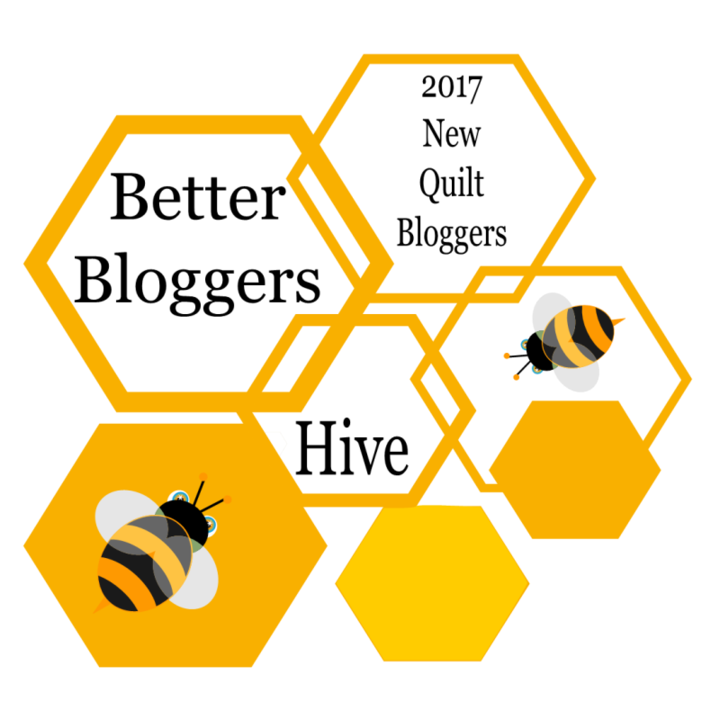 I am part of the Better Bloggers Hive with Beth as our leader. 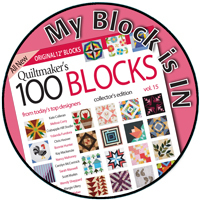 In last year's introductory post I shared how my grandmother was influential in my sewing and quilting, how I choose the name Quilted Blooms and the inspiration for the my blog graphics. 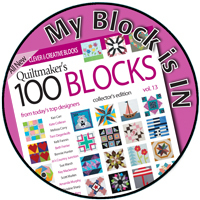 You can read all about that in my 2016 New Quilt Bloggers post. I thought it would be fun to share challenge quilts I've made over the years and document them here in one place. Some I've already shared and will link to those, and others are new here. 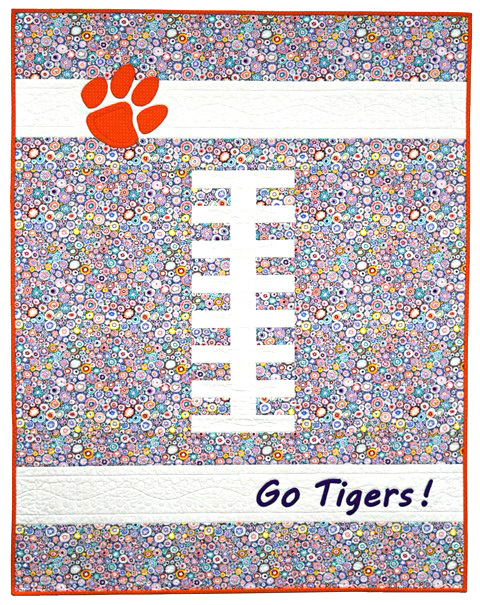 This an early quilt was made for the Quilters of South Carolina Ugly Fabric Challenge. 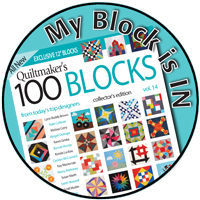 At the very first Spring Meeting I attended, my name was drawn from over a 100 quilters. The challenge was to make a quilt using ugly fabric which was stuffed in a tote bag. 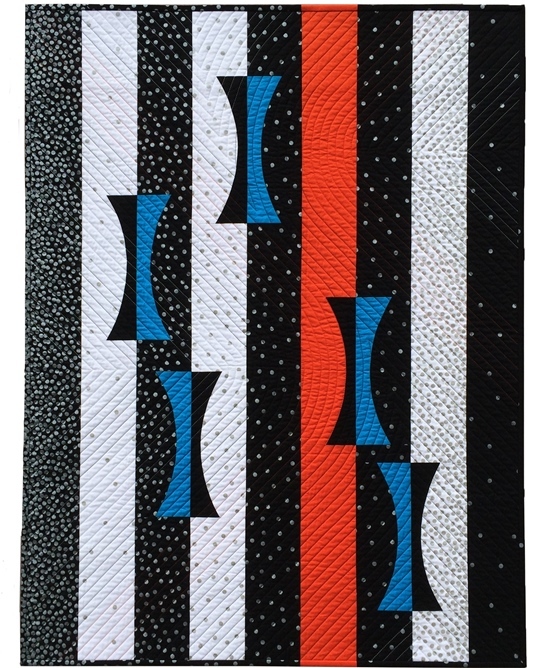 I chose two fat quarters which I really didn't think were THAT ugly (the colorful marbled looking fabric), added two more fabrics and used Original Harmonic Convergence pattern from his book, Ricky Tims' Convergence Quilts (affiliate link). Don't laugh, but this was the first quilt I free motion quilted. I drew the watery looking design on Golden Threads paper, quilted it and then picked out all that paper. When I pulled this quilt out to photograph it, I still found bits of paper. Another early quilt made for a fabric challenge (Flowering Herbs by Hoffman Fabrics) in conjunction with our quilt show, Carolina Dreaming. There was a lot of fussy cutting in this one and machine applique which I love. I still wasn't confident in FMQ and just stitched in the ditch so quilting was minimal. The pattern was from Scrap Miniature Magic (affiliate link) by Christine Carlson. 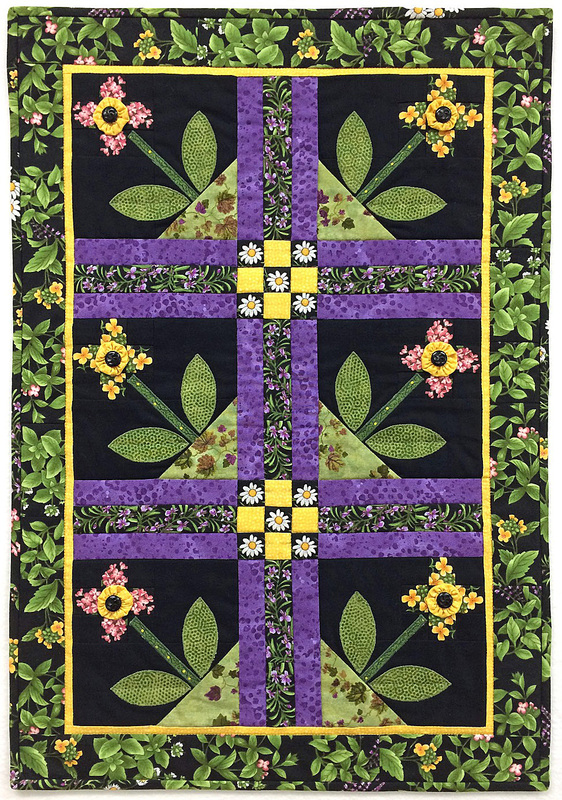 The fabric was definitely a challenge as the six herbs represented were set on point and evenly spaced on a black background which I cut out and appliqued on the quilt backing. Now do you see why this was a challenge? I was the chairman for this challenge and chose the fabric, Birds on a Wire, by Kim Schaefer for Andover Fabrics. The quilt had to depict the theme of the guild's show, Wonders of Nature, and contain a bird (fabric or not) somewhere in or on the quilt. 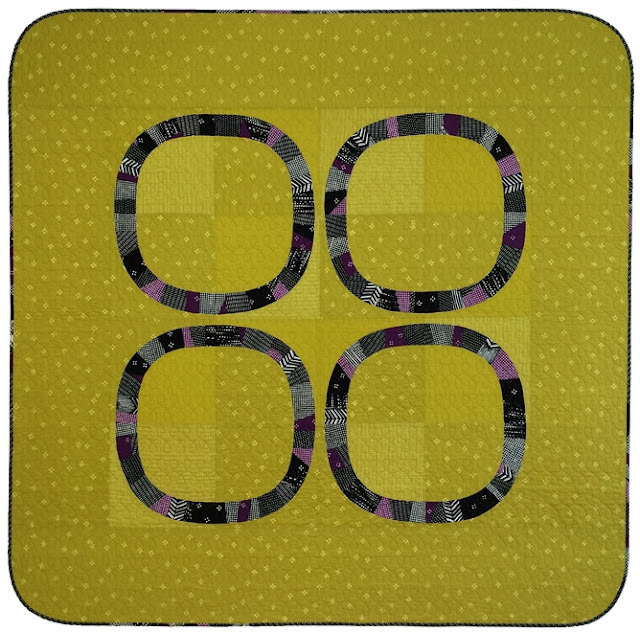 This is really 4 mini quilts bound and stitched onto the quilted challenge fabric. 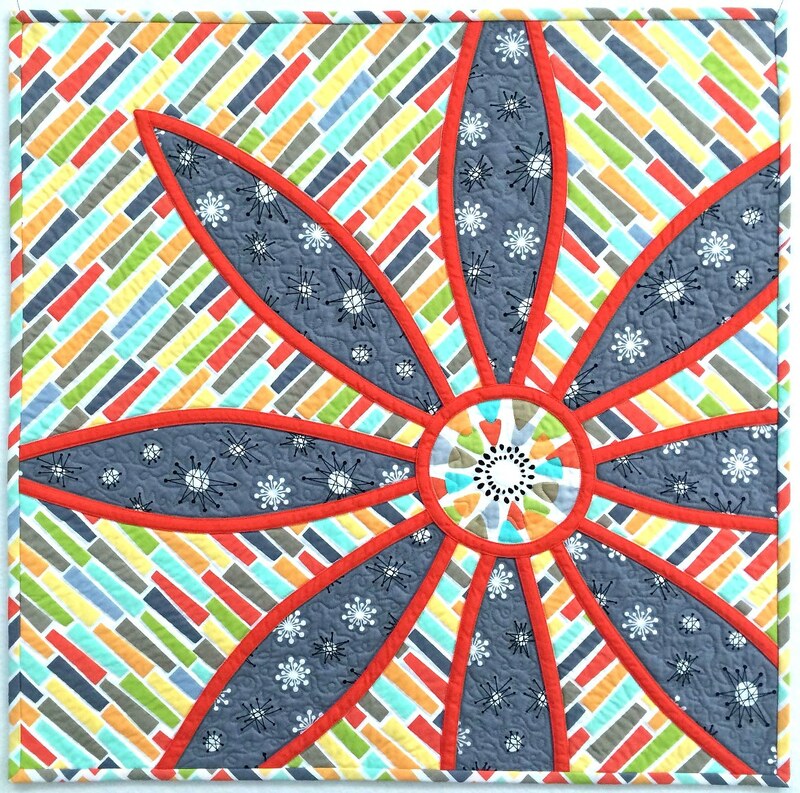 The dimensional applique technique is from Fabulous Flowers (affiliate link) by Sharon K. Baker. 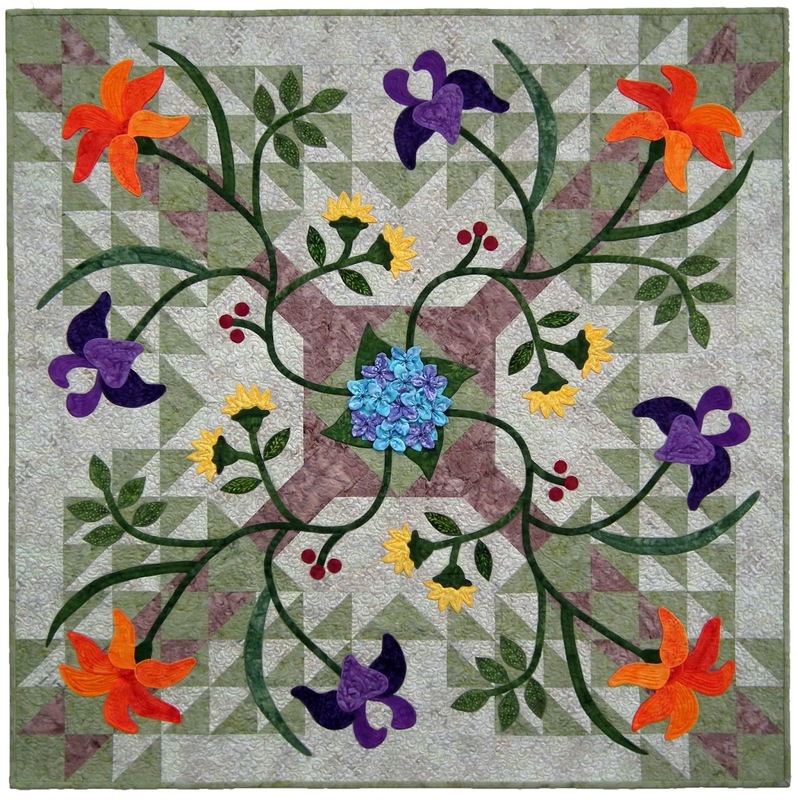 And the idea for this quilt was from a mini quilt, Sunflower Snapshot, I saw in American Patchwork & Quilting, August 2007. 2011 was the year there was historical flooding along the Ohio, Tennessee and Mississippi Rivers. The convention center is beyond the flood gates, so the entire show was moved in town. 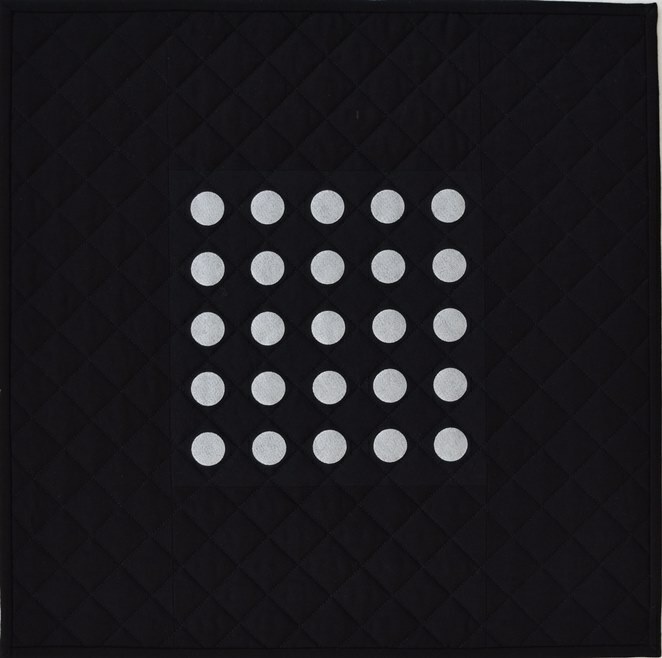 This quilt won 1st place in the Greenville MQG Black and White challenge, 2nd Place in the Gray Matters category at the Asheville Quilt Show, 2nd place in the Small Quilts at QuiltCon 2017 and was chosen for the Best of QuiltCon 2017 Traveling Exhibit, so I guess you could say I'm getting a lot of 'mileage' out of this one. You believe me now, right? I love a good challenge! Sometimes quilting and life in general are full of challenges...but my advice to you is just do the best you can where you are in your quilting journey. Do you remember that first challenge of mine where I was so scared to free motion quilt, I drew almost the entire quilting design out on paper first? Just keep doing the best you can and don't compare yourself to others! My design wall is behind iron on the wall left of the window and the large metal cabinet on the right holds fabric and supplies. I hope you enjoyed the challenge show and tell! Be sure to visit my fellow Better Bloggers this week! 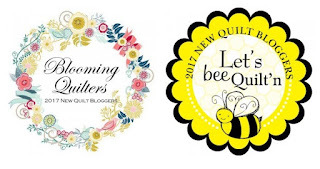 More new bloggers are being introduced by Yvonne at Quilting Jetgirl and Leanne at shecanquilt. I hope you’ll visit them as well. And don't forget the sponsors! This wouldn't be possible without their support! So visit one of the hosts and enter! Thank you sponsors! And thank you Yvonne, Beth and Leanne for your leadership and advice! Hi Paige! I enjoyed seeing past challenges you've tackled. Some I recognize and some I don't. I think you really should write a tutorial on how to win ribbons! MY GOODNESS! I had no idea you had that many, but I shouldn't be surprised. Your creativity is amazing. Hope you're having fun with the Blog Hop! Thank you ES, I appreciate your kind words! 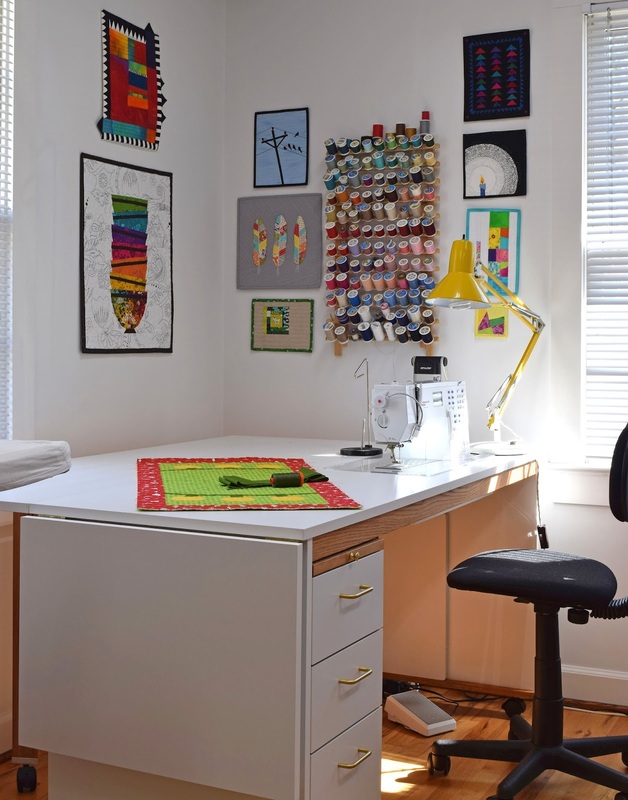 Danice, the sewing room was clean for an instant and then no more! Thank You! Hi Paige, great to learn a bit more about you! Your quilts are so impressive. 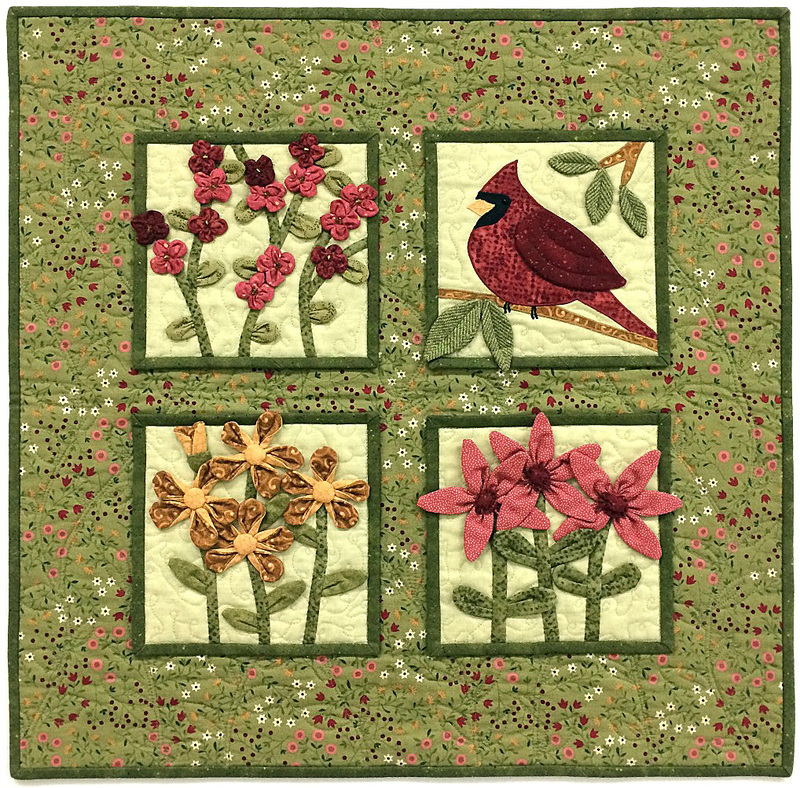 I adore your 'Bird Eye's View' quilt, the fabric choices are beautiful and I love all the texture. I'm looking forward to seeing your future projects! 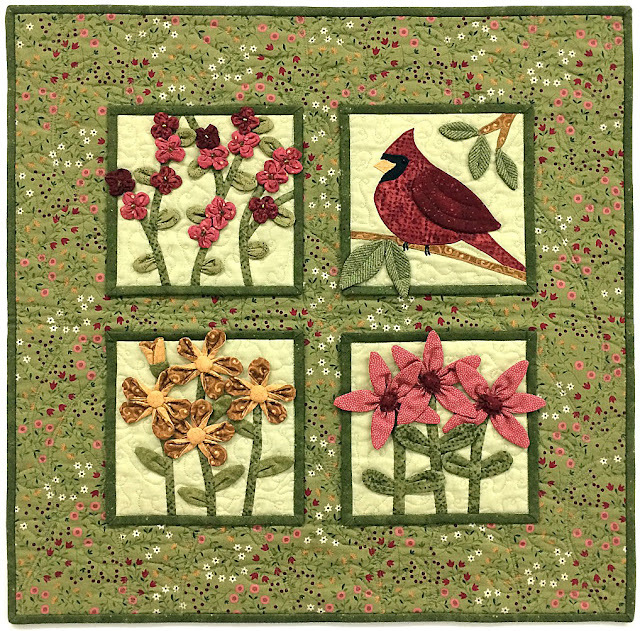 Sandra, Bird's Eye View was so fun to design using the dimensional applique! I can't believe the hop is coming to a close! Paige, your quilts are just spectacular! All of them, enjoyed this post for the hop. Hi Paige! I loved seeing all of your challenges through the years!! very interesting! thanks for the pics of Paducah! I was there in 2015! A great aventure for french quilter! 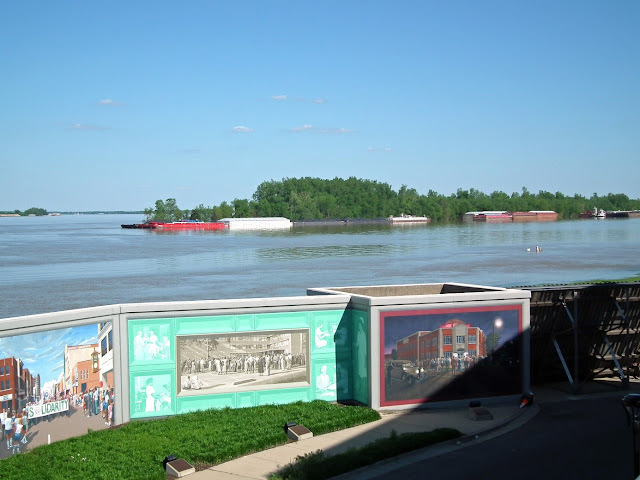 Paducah is quite the adventure for anyone! So glad you stopped by for the blog hop! Oh Paige, what a great post. So many lovely quilts! Barcelona and those cute little flowers are so much fun! Wow--you really do rise to a challenge--so many wonderful quilts! I'm struggling right now to finish a guild challenge for our show in June. First of all, I don't usually come up with my own design, and it's a pretty small quilt that I don't feel comfortable loading onto my longarm. My free motion skill on my domestic machine are pretty rusty, so if this thing all comes together half way presentable, I'll be happy to call it done--LOL! 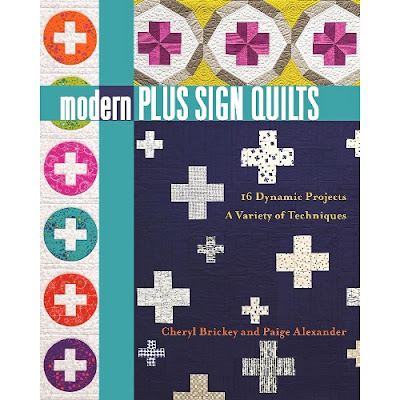 Hi Paige, it was great meeting you on the blog hop and getting to know more of your wonderful quilts. You can really do it all. 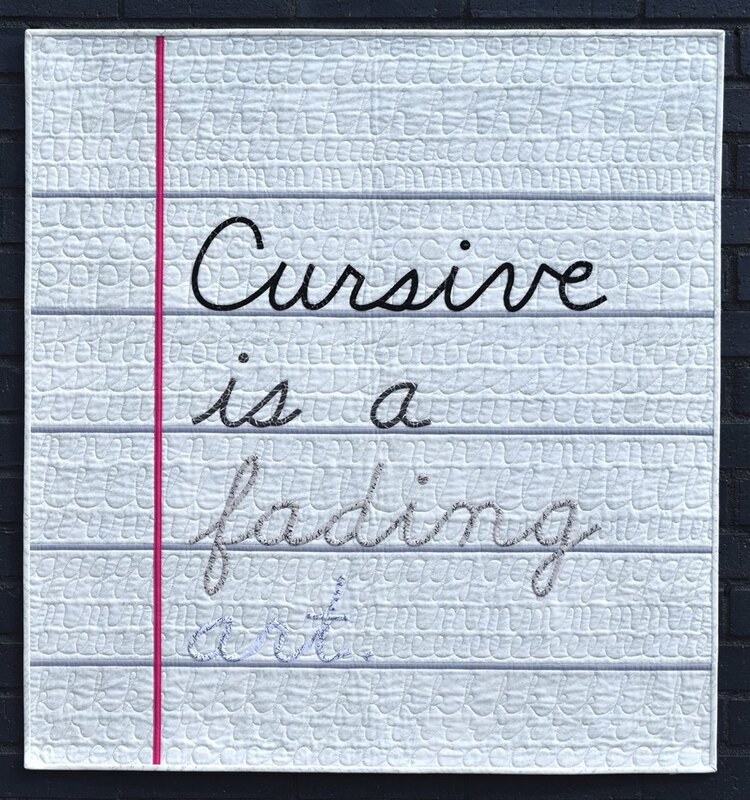 I really think photos of your quilts can be printed like postcards because I really love them all, especially the Cursive quilt. You can definitely rise to a challenge. I'm glad we connected and look forward to reading future posts. You truly are an inspiration. What a great post ! 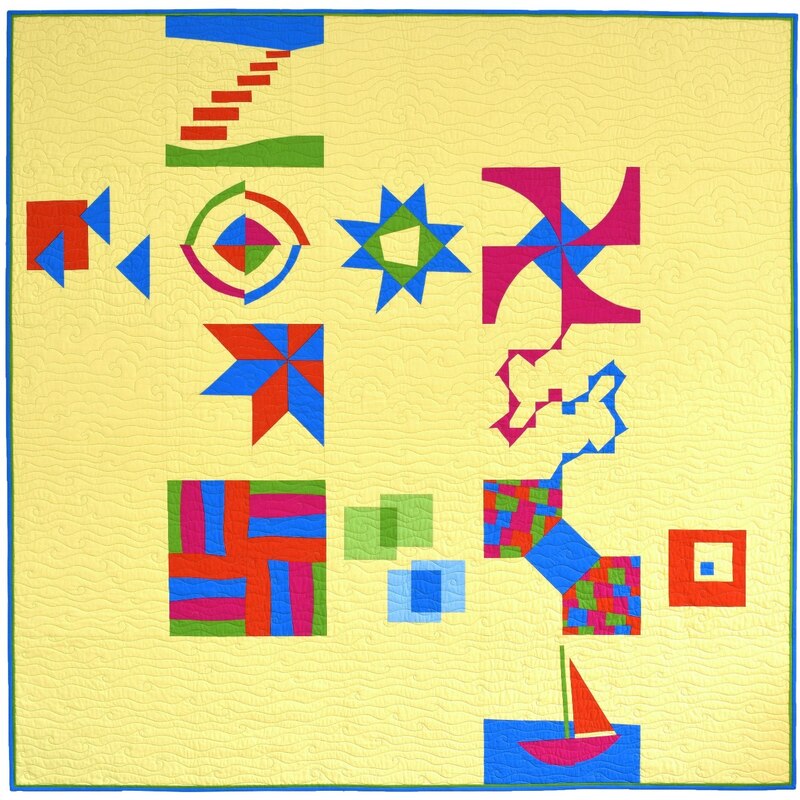 I enjoyed seeing the quilts you made through the years and the evolution. I can't wait to discover your next challenge. Paige, you do like a challenge! Great to see all your wonderful quilts and ideas. I am always intrigued by the variety we are able to create. Thanks for sharing your sewing room too... I am about to get serious about a design wall - see if I can engage my newly retired husband into making one! It's true that picture are worth a thousand words because I never would have suspected you have entered so many challenges, or done so well with them! This is quite impressive! Funnily, one of the first challenges I ever did was using ugly fabric too... and I even pieced the word ugly into the backing fabric! What a wonder that you can collect all the pictures of your challenge pieces, let alone link to old posts about them. I cannot do that as many of my challenge pieces were made in pre-blogging years - before 2009. Unlike your beauties, most of the challenge quilts I made were awful. I just don't have a knack for it, and it's taken me 20 years to figure that out! Still, I stupidly keep participating. In fact, my next post is about a challenge reveal. Go figure. As for you, keep up the great work! You're just getting better and better at it! P.S. Your ribbons are very impressive too! What a great way to display them! I HAD as many, before moving. I laid them all out (more than 80), took a photo, and then tossed them into a garbage bag. Sad but true. Paige, I enjoyed your post. 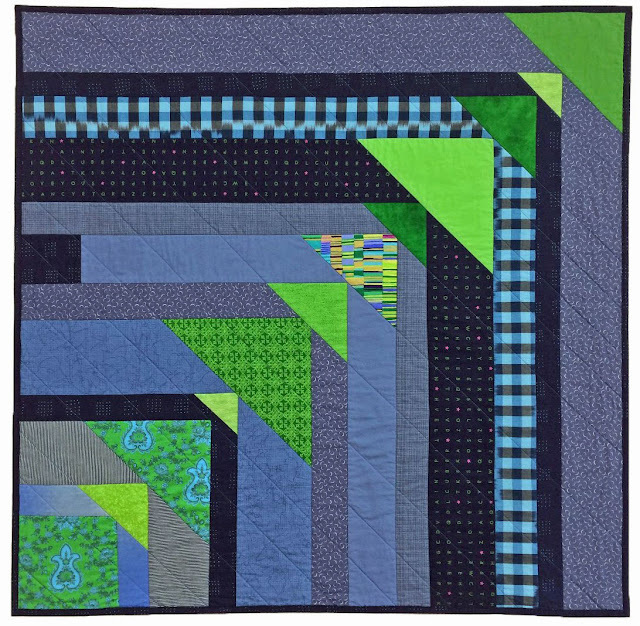 Your After Dinner Mint is my favorite, I love the colors and the quilting. Looking forward to seeing more of your posts/works. You have gone modern and look at all of those ribbons! 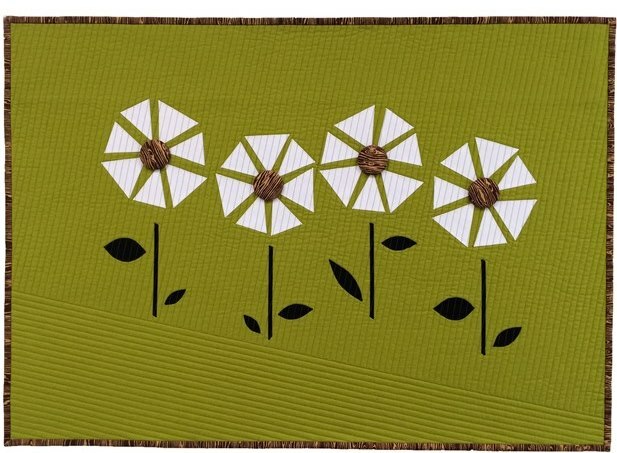 I have a particular fondness for applique and just recently discovered heat bond. Popped by from the hop - stop by for a visit some time. 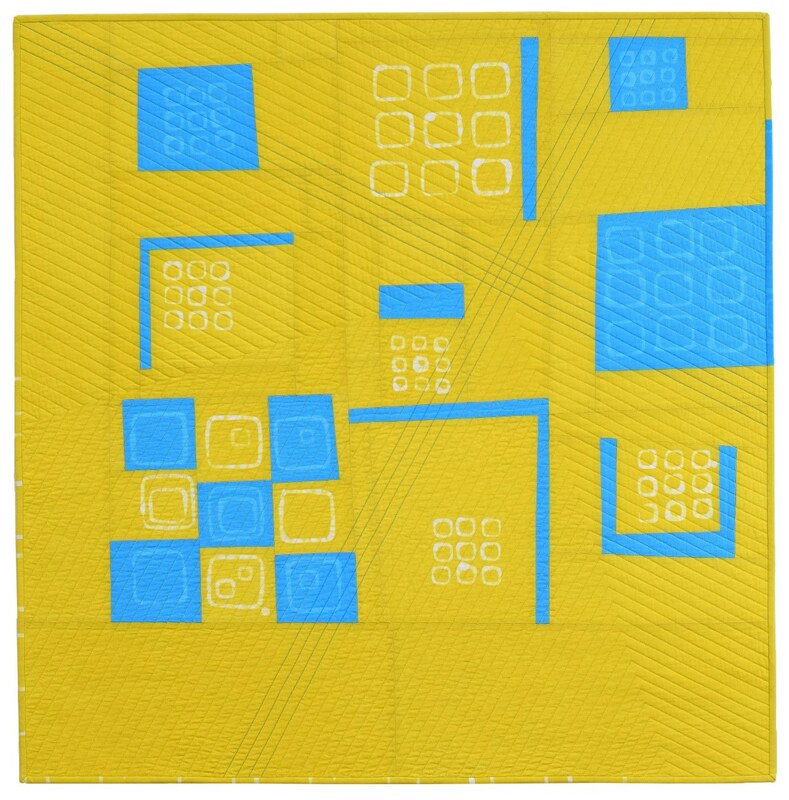 What a fascinating look at your quilting journey Paige! Great post! 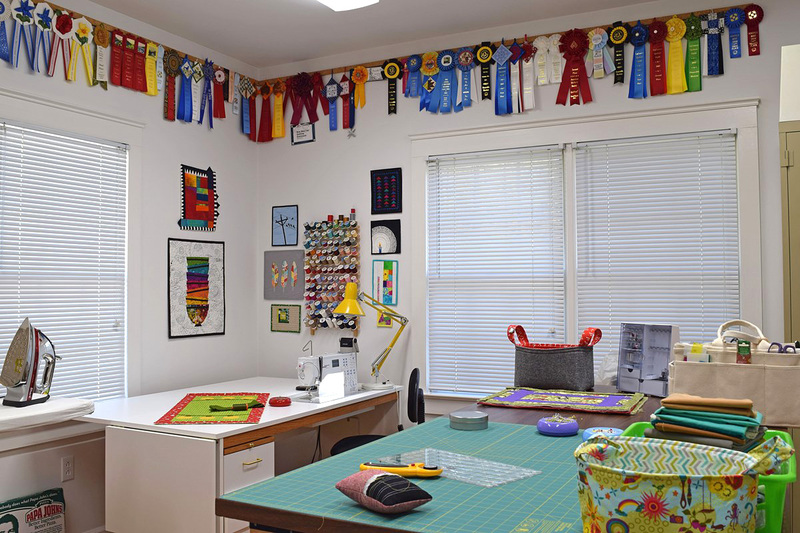 How fun to see your quilts and sewing space. Love the navigating to pluto - great name and a fun way to set the blocks! Wow you've got a lot of ribbons! You're so talented, and it shows! I've seen some of those quilts before, they're yours?? Amazing! If I have to pick a favorite, it's Barcelona. The quilting on that complements the quilt so perfectly. You seem to have a wide range of style, from traditional to ultra-modern, and that's great. Hi Paige, I really enjoyed reading your blog and seeing your challenge quilts. Your work is so varied and beautiful. 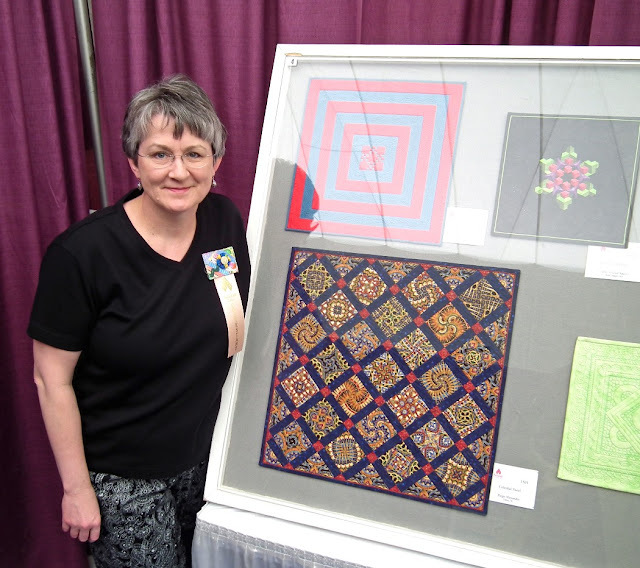 I can see why you have been excepted and won in so many quilt shows. 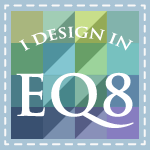 It's been so eye opening to see all the wonderful quilters like yourself on this hop! Thanks Abbie, you're so sweet! Hasn't the hop been fun? I can't believe it's coming to a close! Hi Paige! Love seeing your challenge quilt show! Especially that cursive quilt. I've seen it around the internet. And that cardinal quilt! Well, they're all fab. The blog hop has been fun. I think my jaw just dropped to the ground. I LOVE all your quilts, so beautiful and just WOW! And then it was like LOOK AT ALL THOSE RIBBONS!!! <3 I'm so happy to have learned more about you in this process and I can't wait to see what else you come up with! I LOVED seeing all your challenge quilts! I, too, can't seem to resist a challenge! Are you doing the Pantone challenge this month? 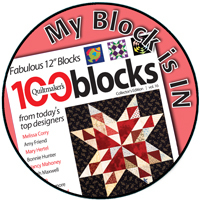 Are you a member of the Challenge Quilts group on Facebook? Everyone shares new challenges that they know of. Your quilts (and photographs) are always so wonderful! Glad to have met you - hope to meet you in real life one day! 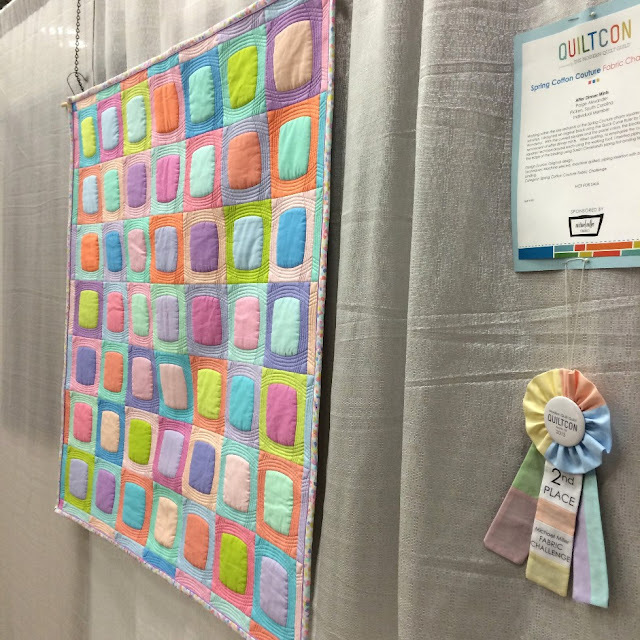 It was fun to see your timeline of challenge quilts. Can't wait to view your next challenge! 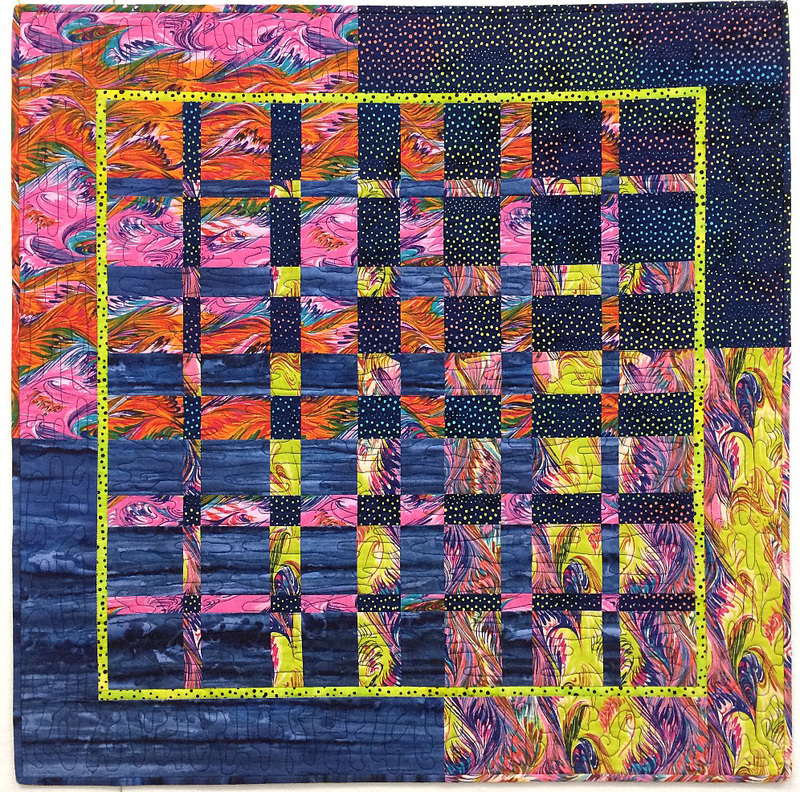 I read your post then had to go back to the beginning and read it again, and it was well worth a second read, you have made so many wonderful quilts Paige, some I had seen before some I hadn't. 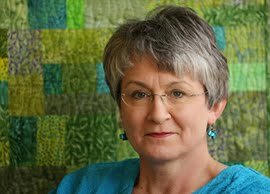 Your work shows your quilting journey, you have come so far and I look forward to seeing what is to come. Hi Paige its been lovely to meet you through this blog hop! My comment is a little late, I’ve been playing catch up this week! I love your ugly fabric challenge quilt, and actually think the ugly duckling became a beautiful swan, its really lovely :) you certainly have an eye for colour. You certainly like a challenge and why not? Your quits are very impressive and wow look at all your ribbons! I have enjoyed reading your post, I will certainly be visiting again.